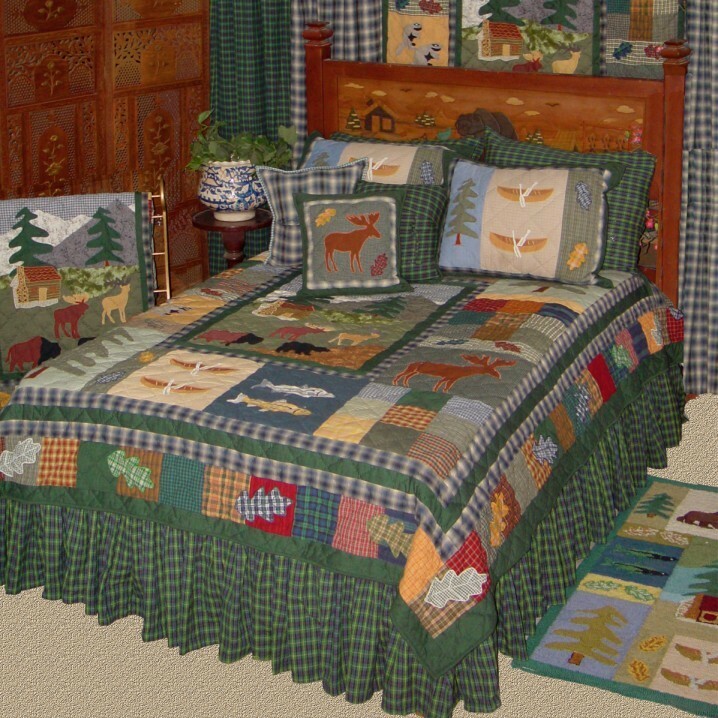 Colorful rustic plaid patchwork is the back drop for wildlife appliques of moose and fish with pine trees, canoes and leaves on these Northwoods Walk Quilt Sets. A scenic center panel features a mountain cabin scene. Colorful rustic plaid patchwork is the back drop for wildlife appliques of moose and fish with pine trees, canoes and leaves on these 100% Cotton Northwoods Walk Quilt Sets. A scenic center panel features a mountain cabin scene.